As you are all probably well aware, crochet blankets are my true passion and never fail to be at the top of my crochet feel-good list. But my second best favourite kind of make is anything small, colourful and decorative, and these hearts are exactly that kind of project. I've been feeling so excited during the past few weeks as I've researched and pattern tested these colourful crochet hearts, picking out my favourite colours and getting to grips with written patterns. I don't find it easy to read crochet patterns (one of the reasons I generally design my own things), but I figure it's always good to exercise the old grey matter every once in a while. I'm really pleased with how each and every one turned out, and crikey, talk about satisfying! These hearts are insanely pleasurable to make and crazy-addictive, much in the same way that mandalas are. There is something so soothing about working in rounds of colour, allowing the shape and pattern to form in your hands, giving in to the creative process purely for the pleasure of doing so. I made my hearts using a DK cotton and a 4.5 mm hook, which seems to be my standard for this kind of project. I'm a tight crocheter, so a 4.5 mm hook is the one I use most often for DK weight yarn. As you can see from the above photo, these hearts are roughly large-hand sized, measuring around about 5.5 inches / 14 cm across the widest point. As for the patterns that I used, well lucky for all of us there is a huge amount of generosity in the crochet world, and all of the hearts I made came from patterns that have been shared for free on the internet. I dearly love our global crochet community, the inspiration, talent and friendship that exists across the globe makes me truly happy and bursting with gratitude every single day. This is a gorgeous little pattern, and once I'd gotten to grips with how to make Puff stitches (WHY have I never made puff stitches before, they are amazing! ), the pattern was a breeze to follow. This pattern is written in UK crochet terms, but US terms are also given in () as well as a drawn chart. Jacquie has written a beautifully simple pattern to turn a classic sunburst motif into a really lovely heart shape. As with all Jacquie's patterns, this one is clearly explained and very straight forward to follow. The only thing that confused me was the US terms she used - UK hookers will need to translate to UK stitch names. Now this is interesting - this heart design takes Jacquie's original Sunburst Granny Heart pattern, but replaces the sunburst centre with a daisy motif. Lauren also added a neat little extra round to edge the heart shape which I think it a lovely finishing touch. This pattern is written using US crochet terms, so UK peeps need to translate. I found quite a few variations of this heart design on the internet, but this written pattern seemed to be the original. It's written in US terms, and if you follow the pattern link through to Nancy's blog there is also a graphic chart. ...I added three extra rounds to make a more decorative edging and think it turned out beautifully. The rose is from my May Rose pattern. Now this gorgeously plump heart grabbed my attention due to it's beautiful shape, it just seemed to me to be so perfectly hearty! Atty has written her pattern in US terms, and there is also a graphic chart on her blog to help. .....oh, be still my beating heart!!!!!!!!!!!!! I just love this so much!!! So many of my decorative projects are prettified with crochet flowers, I never tire of them and always feel a flutter of happiness once there is a floral element involved. .....then decided on a bit of a fruity addition! If you popped by to read my blog yesterday, you'll know that I've already made a tutorial for the strawberry appliqué which includes the ultra sweet little "micro flowers" which I use often alongside some of my other flower patterns. .....in fact both of these Heart Decorations make me so happy! You can see I added a little hanging loop to the top so that I can hang them on the wall - I love this image and this one too .....so inspiring. As I did with my Mandalas and my Happy Flower Decoration, I've used white PVA craft glue painted onto the reverse of the crochet to stiffen the hearts. This is such a simple method which has great results, and it means no floppy decorations! SO..........crocheting these hearts have kept me very busy and happy of late, and I've loved diving into my stash of Stylecraft Classique Cotton which is such a joy to work with. This yarn works up into super-neat stitches, doesn't split or hurt my hands and has a soft, matte finish which I love. But best of all.......the colours! Oh, I know....it's always ALL about the colours for me! Hmm.....I am wondering if you would perhaps like to see a little tutorial for making Atty's beautiful plump heart and then adding a cute edging to it? You Would? .............I had a little chat with Atty and asked her if it would be possible for me to translate her lovely heart pattern into UK crochet terms and provide some step-by-step photos to go with it. You know, just to help along with those of you who are "visual learners" and appreciate some pictures to go with the writing. Atty is such a sweet heart and very kindly agreed to let me go to town with her pattern - Atty - THANK YOU SO MUCH!!!!!!!!!!!!!!!!!!!!!!!!! You may have noticed that the title of this post is "Creative Hearts"? Well this is the name of the Creative Community project that I'm organising for Yarndale this year. Last year we had amazing success rounding up a huge flock of Woolly Sheep to raise money for our local Children's Hospice, the year before it was all about the Flowers which raised money and awareness for the Alzheimers Society. Both of these projects were enormous fun to be a part of and the resulting creative displays were just breathtaking. It's a beautiful visual way to celebrate of the love, joy, friendship and creativity which exists within our yarny community as well as doing something worthwhile for charity. It thrills me to know that we can all connect through our love of yarn and bring about a huge amount of feel-good. I would love it if you felt like making a heart for your own home, or to give to someone special, that would make me very happy to think of all those beautiful hearts being created, gifted and displayed where they can be enjoyed and appreciated. If you would like to make a heart to join in with Yarndale's "Creative Hearts" project, that would be amazing too. This year, Yarndale's creative project is raising money and awareness for the mental health charity Mind. ps. I hope you don't mind me posting about Yarndale here on my blog - it's a big part of my life at this time of year and I do like to share what's inspiring me and keeping me busy! I am proud of my involvement with Yarndale - I am one of the five organisers of this fabulous yarny gathering and it will be our fifth festival this year. To be clear, I do need to mention that Yarndale is a for-profit organisation - you can read more about it here. Does anyone have advice about how to do the PVA on the back? Do you mix it half and half with water or just apply it neat? Don't want to wreck my carefully made heart :) Thanks. I love these little hearts - but unfortunately I have not crocheted since I was about 12 years old and it is a skill that is long lost to me. Love reading your posts too. Love the hearts! Great idea to crochet a bunch to give away! Will send some to a friend for housewarming! All of these hearts are so lovely. I am going to get all of the patterns! I love seeing all of the photos you post of your travels and daily life. Also, each year I look forward to learning about the big crochet item you choose for Yarndale. I love reading about Yarndale and seeing the pictures from it so keep on posting about it. And, even if I didn't feel that way, it is YOUR blog after all so post what you want. :-) Thanks for brightening my day with your lovely blog. Crikey Lucy I can't keep up with your creative pace! I love these hearts and want to have a go at making them and the harmony blanket and the moorland blanket and all the other lovely things you make!! 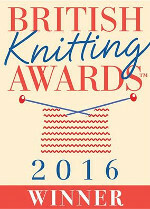 Please don't apologise for including Yarndale in your blog....we want to know about these events :) Your are fab! Hi Lucy, I have finally finished my Moorland blanket! Yay! I started way back on 6th January (my birthday) with the crochet along, but although an experienced crochet-er I found it took ages to get the stitch sequences into my brain, so I fell woefully behind. However, I persevered and am delighted with the end result. Thank you for your detailed instructions, as always, a life-saver at times! I am loving the hearts, too, gorgeous. Started the day with your hearts. They cheered me up. Hello, Lucy....LOVELOVELOVE ALL of your hearts....!! Do you have instructions regarding how to turn these hearts into squares so that they could be made into a blanket...?? Any help that you can give me would be most appreciated...THANK YOU SO MUCH!!! Can't wait to make one, two,three . . . ! Just wanted to say that I'm truly happy with your blog. With a busy job there isn't always time to enjoy all the things you describe so well: your baking, the coffee, the flowers, the cat, watching the seasons and especially the yarn and the colors! I've been reading your posts for a few months now. Tried to start my day with it before opening my email in the mornings. Thanks to you it is a little bit easier to enjoy life, even when it is way too busy :-). And once on a blue monday I can even pick up a hook and some yarn myself. So, thank you for being you! P.s. : This sounds melodramatic but I just wanted to let you know that your blog really makes people smile ;-). Love, love, love the hearts! Thank you for sharing your talent and passion. Hearts they are something to give to friend or someone who is down in the dumps. I am new to your blog but enjoy it so much. I love the colors you use! So much cuteness! Wow! Such great designs and color combos! I love those hearts. Thanks for the tutorial. Please tell us all about Yarndale. It's lovely to be kept updated even all the way in South Africa. Hi Lucy, Oh my goodness, I've been reading your wonderful blog "forever" and it just puts a smile on my face. I Love to knit ( sadly, I don't crochet ). But the yarny goodness is with both skills. AND, I Love reading about the beautiful area where you live - the walks to such amazing places. And I have a question - Last year my children gave me a trip to Scotland. Needless to say, it was incredible. My oldest son accompanied me for most of the trip and I was in awe of all. I'm thinking of going back one summer, renting a place - wondering if I should include the Cotswolds - or just stay in Scotland and enjoy ?? Am thinking of a place, perhaps, in the countryside not far from a town as I won't have a car. ( a nearby yarn shop would be lovely ). I'd just like thoughts from someone "across the pond." Saw this and thought of you. It is a printed round mandala throw, but maybe you could consider making a crochet version? One of the pictures even shows someone standing on the throw with their feet showing, just as you take your pictures. PS I am not connected in any way with the company selling them. May I offer a suggestion as to what to do with the hearts post-Yarndale? I'm sure you'll have seen the Hearts For Manchester which covered the city centre after the Arena bombing, and the sister yarn bombing in London after Grenfell. I think it would be lovely if some hearts were hung in Skipton for people to take. To spread a little love and cheer.